Don’t Let Them Weaken Stand-Your -Ground Law! We’re getting down to the wire here in Des Moines, as the session is scheduled to adjourn in just a few short weeks. The pressure on Stand-Your-Ground law is white hot, thanks to the radio ads funded by Iowa Gun Owners members from all over the state! But we can’t let up — not for a moment. Anti-gun Senators are making all kinds of wild assertions about what Stand-Your-Ground law would do, doing all they can to shut this bill down or ruin it with weakening amendments. That’s why I need your help to continue running this ad statewide this week! So whether you can sponsor ten ads or whether one is more appropriate for you — please act fast! We’re on the verge of passing a bill that has been years in the making, but we can’t let up until the Governor signs off! 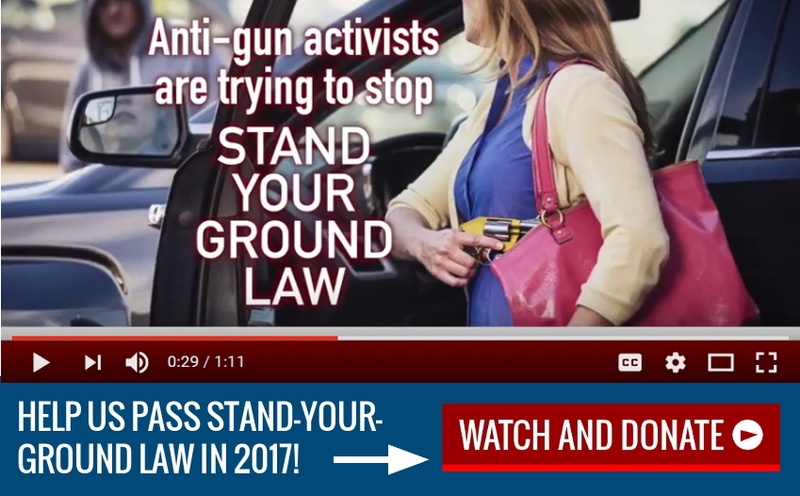 Statewide Media Campaign Launched to Pass Stand-Your-Ground Law!